You can't go wrong with needlepoint. 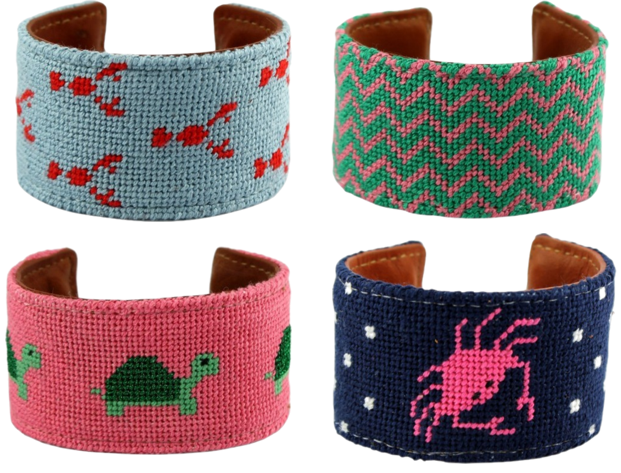 Whether for ladies or gentlemen, needlepoint is the perfect preppy touch to any outfit. It is a great way to add in some pattern mixing to your outfits as well. For instance, if you're wearing gingham shorts, a needlepoint crab belt would be a fabulous touch! What's your favorite way to wear needlepoint? Be sure to enter the current giveaway on A Preppy State of Mind! The winner will receive a monogrammed seagrass clutch. these are all great needlepoints!! 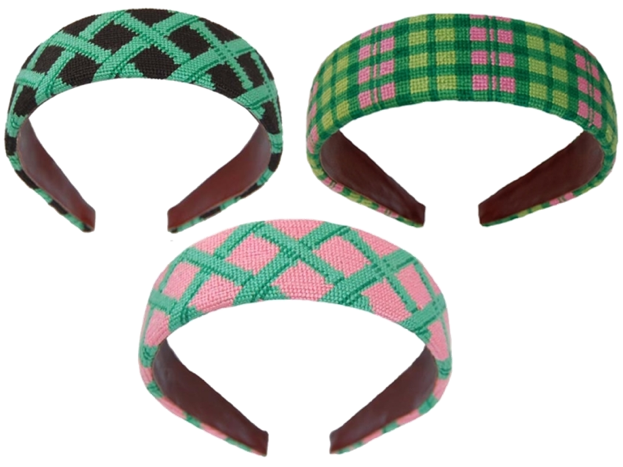 I absolutely love the headbands, such a perfect addition to any outfit. Well I absolutely love the FOBs! 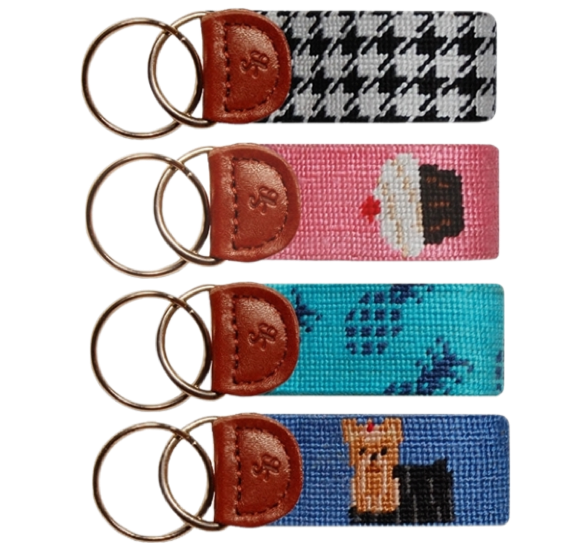 They are perfect for car keys and thy are oh so cute! I really want to check out the needle point belts soon too! I love all the cuffs!Too cute! P.S.- Be sure to check out my blog and follow--it would make my day!